I liked the way the grapefruit marmalade worked out so much that I wanted to try something tarter and lemony. Enter, lemon marmalade! 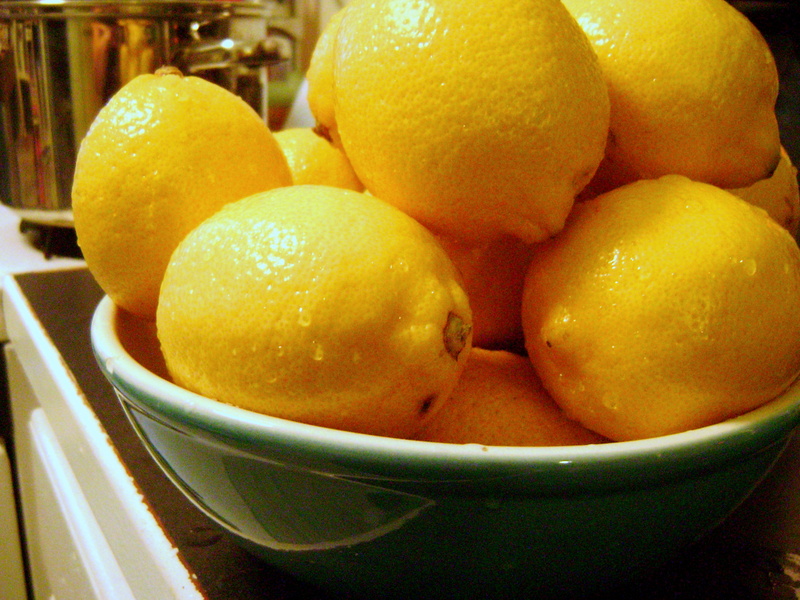 I got 10 lbs of lemons from Costco and got started. I used my mandoline on the smallest setting to thinly slice three whole lemons, I zested 6 more and juiced another dozen. This was some tangy brew! I try not to add too much sugar to my preserves, and I added about 5 cups of sugar to this mix, but I think it could have even used more! Lemons are TART man, its no joke! I like the tartness, and I was more afraid of it being sickly sweet so its turned out fine. 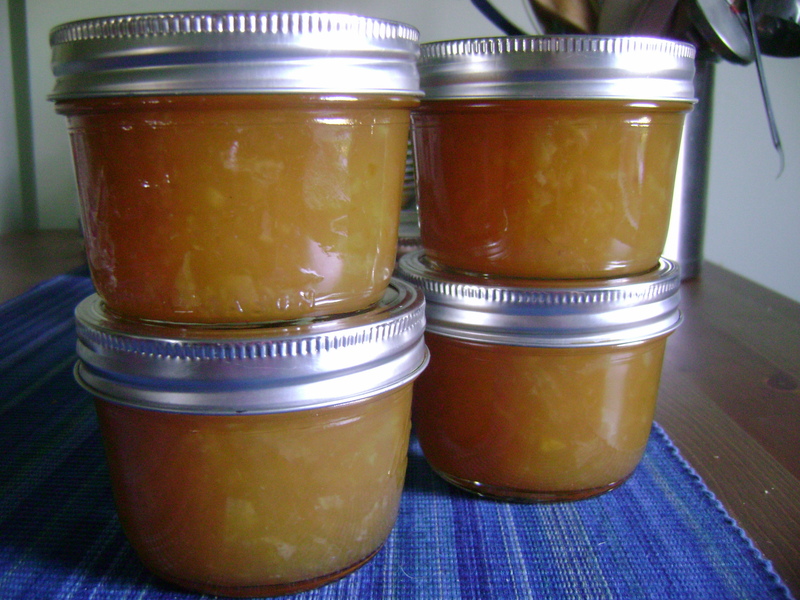 The marmalade turned out to be such a pretty color, too! Light sunny yellow. Loves it! I bet it would be wonderful on bread with a honey butter for an extra touch of sweetness. My friend David bought a jar and he plans to make some lemon cheesecake, Yes, Please!